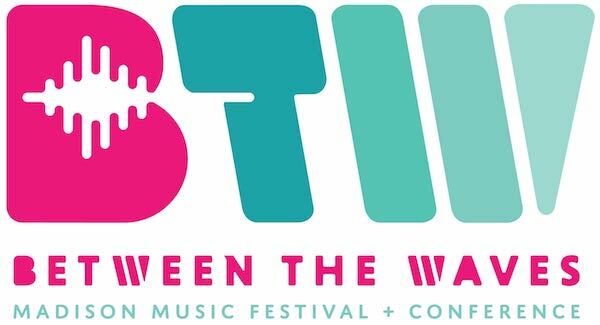 Between The Waves Madison Music Festival & Conference is the Midwest's first event for musicians and anyone interested in music creation, production, licensing, collaboration, or performance. This special event will bring together musicians, educators, and music industry thought leaders for instruction, inspiration, networking, and support. If you're already in or looking to get started in the music biz, this is the place where you'll learn, work, meet and interact with Madison's top musicians and national music industry executives. Between The Waves Madison Music Festival & Conference is the Midwest's only national conference focused exclusively on you - the independent musician. The conference program contains A-to-Z instruction on all facets of the music business, from creation to performance to distribution and alternative revenue streams. The festival portion promises an exciting multi-night, multi-stage musical extravaganza, showcasing varied genres with featured performers and opportunities for conference attendees to get in on the act. It's a guaranteed good time, and an excellent chance to network and jam with acclaimed musicians. Between The Waves Madison Music Festival & Conference is the new destination for musical instruction, collaboration, and networking. Selected Artist will be provided with a performance opportunity at the BTW Festival. They will receive passes for all members to the BTW Festival & Conference ($70 per ticket value). Solo artist will receive two passes. These rules supplement, incorporate by reference, and are to be read with (and not not to limit), the Broadjam User Agreement. You must be at least 18 years of age to enter this contest. To enter this contest you must be a registered member of Broadjam at any level of membership, including free membership. You must provide true, accurate, current and complete contact and other information, as requested by Broadjam. You may be disqualified for false registration, making false claims, misrepresentation or any other behavior, action or activity that Broadjam, in its sole discretion, deems to be "cheating". Each song submitted must consist entirely of your original work. You may be disqualified for submitting any material for which you either do not solely own all worldwide copyright rights or have not obtained all necessary licenses, in proper form. Collaborative work among co-contestants will be accepted, but all prizes will be awarded to the contestant whose name is on the associated Broadjam membership. Division of prizes among co-contestants is the sole responsibility of winners. Entry files must be uploaded as an MP3. Broadjam is not responsible for any corrupt files you may submit. Any and all corrupt files will be deleted without notification to you. All submissions to this contest must be fully submitted by 11:59 PM Central Standard Time (or, if being observed, Central Daylight Time) on the final date of the contest. Closing and announcement dates for this contest may change without notice to you. Such changes will, however, be posted on the Site at the contest's page. All entries are final and irrevocable. Once you have submitted an entry for this contest you may not withdraw the entry or request to change the category, genre or other division you chose for the entry. Absolutely no entry fee refunds will be made for any reason. Winners will be notified by email at the address provided, and must sign and return an affidavit of eligibility/publicity release within ten (10) days after the date on such notification. The affidavit will state that the winner's song is an original work and that the winner holds all rights to the song or is a cover of a licensed song and is identified as such in the submission. Failure to sign and return this affidavit within ten (10) days, or the provision of false/inaccurate information therein, will result in immediate disqualification and an alternate winner will be selected. Affidavits of winners under eighteen (18) years of age at the time of award must be countersigned by the winner's parent or legal guardian. Affidavits are subject to verification by Broadjam. Broadjam may change these rules at any time, in Broadjam's sole discretion, without notice to you. Entering this contest does not grant you any right or license to use any Broadjam material (i.e. logos, images, text, etc. ), trademarks or other intellectual property of Broadjam for any purpose, without Broadjam's express written consent. Employees of Broadjam, their sponsors, advertising agencies, affiliates, agents, representatives, and the families or households of the above are ineligible to enter or win all Broadjam contests. Without limiting the applicability of other provisions of the User Agreement, the limitation of liability provisions of Section 1.11 of the Broadjam User Agreement apply to this contest. The selection of winners by Broadjam and the judges, is final and unappealable. Arrangements for receiving all prizes, unless otherwise specified, must be made within thirty days after Broadjam's receipt of a winner's affidavit of eligibility/publicity release. It is the responsibility of the winners to claim prizes within such thirty day period. All unclaimed prizes will be forfeited, and Broadjam may award any unclaimed prize to a runner-up. The odds of winning will depend on the number of eligible entries received. Winners will receive the prizes as set forth in the contest announcement. In the event a prize is not available due to circumstances beyond Broadjam's control, Broadjam reserves the right to provide a substantially similar substitute prize that Broadjam deems to be of greater or equal value. Winners understand and agree that they are solely responsible for any and all taxes, including but not limited to sales, income, or value added, incurred on prizes received, and for any and all duties, tariffs, or import fees that may be assessed upon receiving prizes. Broadjam will incur the cost of shipping prizes. Broadjam may choose the method of shipping, in its sole discretion. Broadjam is not responsible for the failure or tardiness of prizes or damage to prizes, delivered via US Postal Service, United Parcel Service, Federal Express, DHL, or other reputable carrier. Proper identification such as a valid driver's license, passport, state ID, or military ID may be required to accept delivery of prizes. In the event that a winner chooses not to accept a prize, the winner forfeits all claim to that prize, forever. All contestants acknowledge, as a condition of entry, that Broadjam has the right to publicize and broadcast any winner's name, character, likeness, voice and all other matters incidental thereto.